(CBS/AP) CRANSTON, R.I. - This isn't the kind of seedy prison story you may have come to expect. A female inmate has nurtured a 260 lb. pumpkin on the grounds of the state prison in Cranston. 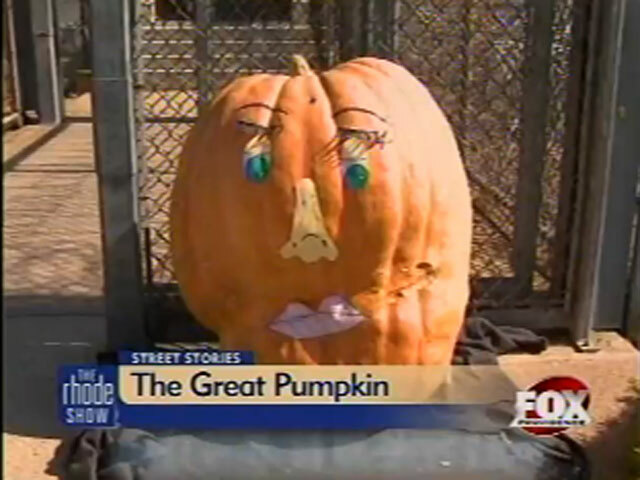 WPRI-TV reports inmate Elena Hall nicknamed the great gourd, "Miss Demeanor." Correction officers planted the pumpkin seed in March and charged Hall with taking care of it. She already was entrusted to mow the lawn. When the pumpkin got big enough, Hall put headphones on it and pumped in country music. A face with eyelashes has been painted on the pumpkin. "What have I been doing all my life, coming back and forth to jail? When life hands you a pumpkin, you make some pumpkin pie," she said. Hall is up for parole and said she hopes to grow an even bigger pumpkin outside prison walls.